A short selection of animation from the 2017 Electronic Theater in the Main Auditorium. 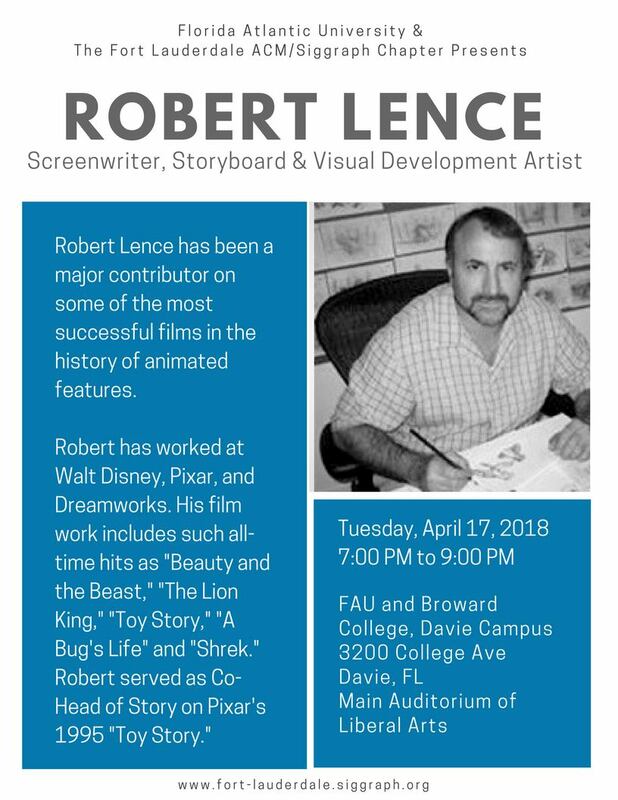 Robert Lence has been a major contributor on some of the most successful films in the history of animated features. In his twenty-eight-year animation career, he has worked as a Screenwriter, Head of Story, Storyboard Artist, Visual Development Artist, and Story Consultant, helping create original characters, writing dialogue, and shaping the story on over a dozen major-release animated features. Robert has worked at Walt Disney, Pixar, and Dreamworks. His film work includes such all-time hits as “Beauty and the Beast,” “The Lion King,” “Toy Story,” “A Bug’s Life” and “Shrek.” Robert served as Co-Head of Story on Pixar’s 1995 “Toy Story,” the first ever computer-animated feature film. A graduate of the University of Michigan in Ann Arbor, Robert holds a Bachelor of Arts degree in English Literature. Robert attended the California Institute of the Arts’ highly regarded Character Animation program for two years. He has also served as a member of the Cal Arts faculty, as a story teacher and story consultant. A native of New York City, Robert has worked, taught and lectured in Los Angeles, San Francisco, Portland, New York, London, Mexico, Uruguay, China, Korea and Russia. He currently resides in Los Angeles, California. VR Zeitgeist: Where are we now? In the quickly shifting sands of the Wild West of Virtual Reality many new technologies and uses are emerging. VR’s immersive media allows people to experience, explore and learn from their VR environments using more of their biological toolset, bridging the gap between the intellectual data available to our digital society, and our intuitive sense of exploration and presence when placed in a given environment. VR environments can serve to transport people to different places, imaginary or real, and these places can then be augmented by infinite layers of digitized information accessed through user interaction. But why are some VR experiences more uncomfortable than others? How can we begin to think about guidelines for good VR design? Where do we expect VR tech to evolve? Join us as we explore some biological facts that play a role in creating successful VR experiences, present the current types of VR, cover the toolsets for creating VR, and discover some successful VR explorations in different disciplines. 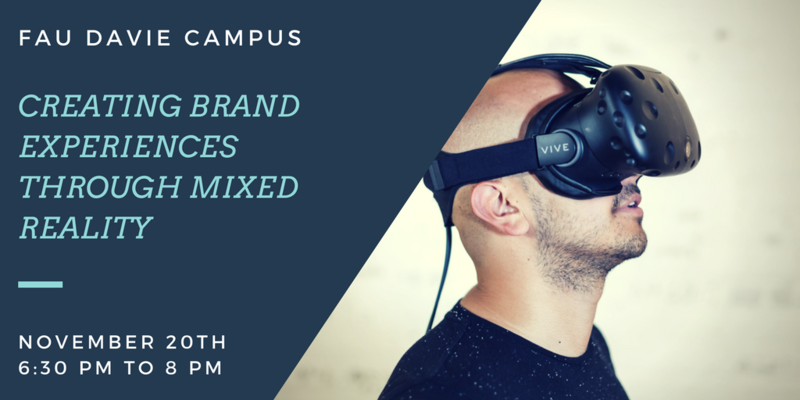 Join us for an evening to understand a little bit more how VR is created, what considerations we can have to create great VR experiences, and how VR is playing a role in disciplines like Medecine, Museology, and Entertainment among others. Explore your senses through various VR experiences. Test your courage by “Walking the Plank”. Conquer your fears in the “Spider Crawl”. See how VR can be applied to create unique film/audiovisual experiences – and be transported to see works of art in a museum setting. SIGGRAPH Asia Computer Animation Festival Trailer for this year! Preview the exciting highlights here! See you in Bangkok, Thailand! The SIGGRAPH Asia Computer Animation Festival is Asia’s leading annual event which showcases a worldwide collection of the year’s best works. An internationally recognized jury receives hundreds of submissions and presents the most creative works of the year in daily Animation Theater and Electronic Theater screenings. Selections include outstanding achievements in time-based art, scientific visualization, visual effects, real-time graphics, and narrative shorts. Before joining Pixar, Santos worked as an art director at Bush & Bishop Advertising, a full-service advertising agency. She designed everything from ads to brochures to logos, which allowed her to utilize her drawing skills in a number of ways. Born in the Philippines, Santos was raised in Guam from age 3. She attended the University of Santo Tomas in the Philippines where she graduated with a fine arts degree in advertising arts. After spending five years in the advertising industry, Santos returned to school and earned a Master of Fine Arts in computer arts from the School of Visual Arts in New York City. Santos lives in San Francisco. We are currently working on a speaking event for the week of October 23rd. Stayed tuned! creation from Art Director, Matthias Lechner. Florida Atlantic University’s School of Communication & Multimedia Studies will host the event in their FAU Davie Campus. Come and Support the Fort Lauderdale ACM SIGGRAPH for our spring Computer Animation Festival 2014 Asia Electronic Theater Screening at the NEW (Miami Animation and Gaming International Complex) Magic on June 9th, 2015 at 7:00 p.m. Admission is free! We will conclude at 9:00 pm and meet afterwards to network at a nearby local Venue. This is the preview trailer of the SIGGRAPH Asia 2014 Computer Animation Festival program. Asia’s premier computer animation festival that attendees look forward to, showcasing an international collection of the year’s best works. An internationally recognized jury receives hundreds of submissions and presents the most creative works of the year in daily Animation Theater and Electronic Theater screenings. Selections include outstanding achievements in time-based art, scientific visualization, visual effects, real-time graphics, and narrative shorts. This event will be held at the NEW (Miami Animation and Gaming International Complex) Magic at Miami Dade College. 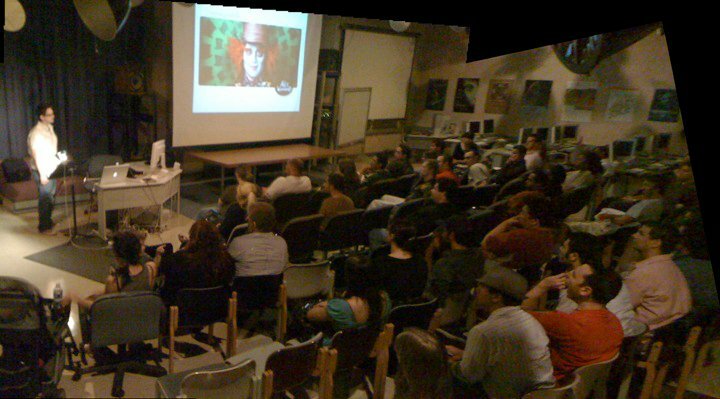 The chapter meeting will be held in the same building and place as the 2013, 2014, and upcoming 2015 Mia Animation Conference for those of you that have attend that conference. None. We have generous support from the Miami Dade College. There is Parking on NE 2nd Avenue between 5th and 6th streets and at the(Building 7 parking garage). Passes will be issued to park in the garage for building 7. Please go to 5th St between 1st and 2nd Ave NE across of the Fire Station and upon arrival a garage parking passes will be issued. The event name is “SIGGRAPH at MAGIC“. A campus map has been provided on the link below. The SIGGRAPH Computer Animation Festival is the leading annual festival for the world’s most innovative, accomplished, and amazing digital film and video creators. An internationally recognized jury selects outstanding achievements in time-based art, scientific visualization, visual effects, real-time graphics, and narrative shorts.